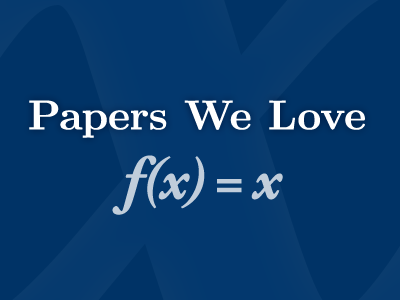 What is Papers We Love ? What we can get out of such a thing? Should we always read the latest papers? 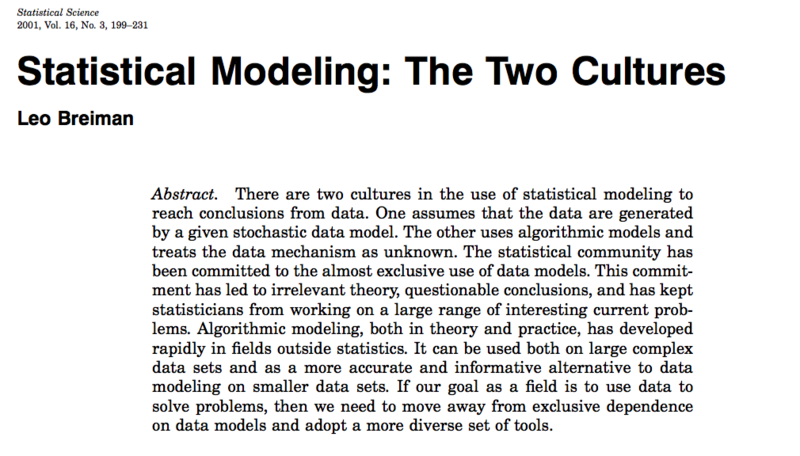 “Statistical modeling: The two cultures” by Leo Breiman, 2001. I do this for fun. not to write an exam. Find a function \(f(x)\) – an algorithm that operates on \(x\) to predict the responses to \(y\). The statistician, by imagination and by looking at the data, can invent a reasonably good model to explain the complex mechanism of nature. Data modeling produces a “simple” and “understandable” picture of the relationship between input and output. Approach: – “nature produces data in a black box whose insides are complex, mysterious, and at least, partly unknowable”. usually interpreted as “Simpler is better”. “Accuracy generally requires more complex prediction methods. Simple and interpretable functions do not make the most accurate predictors”. So, the soundest path is to go for predictive accuracy first, and then try to understand why. The conventional advice was to reduce the number of features. The goal is to get accurate information, and not interpretability.